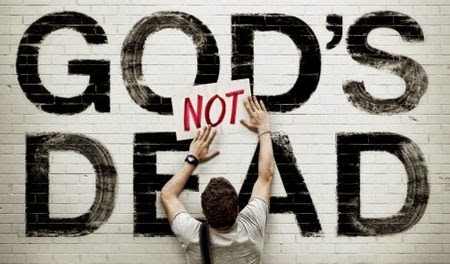 Your Grace is Sufficient: God is not Dead! Friedrich Nietzsche was the German philosopher who had the gall to declare the following: “God is dead. God remains dead. And we have killed him … Must we ourselves not become gods simply to appear worthy of it?” I guess many would share similar sentiments in face of unanswered prayers whilst wrestling with human misery. I think Nietzsche presciently understood that science would become heralded as the new religion, the new harbinger of hope, and that the death of God merely marks the beginning of the deification of Man. If God cannot provide the solution, then the solution must lie elsewhere. Technology, not another traditional deity, would become the natural place to look for a human Saviour. The scientific quest for immortality is merely a continuation of man’s ancient and perennial search for immortality. From the pyramids and the mummification of the kings of Egypt, to the pursuit of the elixir of eternal life by Emperor Qin, Shi Huang Di; from the medieval alchemical research into the philosopher’s stone, adventurers’ search of the fountain of youth, to Hitler’s quest for ancient mythical artefacts of power, such as the Holy Grail, the quest for immortality has continued over the centuries. Today, the modern bizarre pursuit to cheat death has been fictionalised in science fiction genre. But not all is fiction. This could also be the ultimate conclusion of Darwin’s theory of evolution – through an inexplicable process of natural selection and with the assistance of medical science, man could ultimately evolve into a god like being, freed of his present limitations and frailties. But all this remains hypothetical. For some, it’s just pure fiction. We have yet to see living proof of the contentions made by myth, science fiction and lastly science. We have yet to see a real life immortal. In fact, human attempts to deal with death in the long run are made utterly futile and pitiful by death’s inevitability. Only Christians are able to embrace death for the great power it holds. Only God can do something decisive about death. Thus our Lenten journey offers us today’s readings and reflections. One the eve of Holy Week, the liturgy invites us to consider a story which prepares us for the greatest story of immortality – it is the story of Jesus raising Lazarus from the dead. In the Fourth Gospel, this miracle is considered the last of the ‘signs’, each sign being a miracle of Jesus that provides a clue to his identity and mission. Some say that the resurrection established who Jesus was and what his presence meant. I think that’s backward. It is who Jesus was, “I am the Life and the Resurrection,” that establishes what his resurrection meant.This is an important passage to consider before we move into the climatic high point of our Lenten Journey, the Paschal Triduum. It is a reminder to all Christians that our story is not the stuff of fiction, or philosophical speculation, or scientific hypothesis. Yes, death is real, but the resurrection and eternal life is more real. Immortality is no fiction! As the liturgical texts emphasise, the miracle at Bethany reveals the two natures of Christ the God-man. Christ weeps for Lazarus, and so He shows the fullness of His manhood, involving as it does genuine grief for a beloved friend. Then, disclosing the fullness of His divine power, Christ raises Lazarus from the dead, even though his corpse has already begun to decompose and stink. This double fullness of the Lord’s divinity and His humanity is to be kept in view throughout Holy Week, and above all on Good Friday. On the Cross we see a genuine human agony, both physical and mental, but we see more than this: we see not only a suffering man but a suffering God. As man, Christ dies, but as the immortal, undying Deity, Death holds no sway over Him. Death has been crushed. Death, and all its finality, has been trampled, vanquished by Christ who is all love, all mercy, omnipotent. But there is more to the story of Lazarus than just that grand, life affirming finale announcing his true Divine identity. What I'm particularly drawn to currently is the events preceding Lazarus' resurrection. I am captivated by Jesus' own emotional reaction to the anguish of Mary and Martha, so convinced by that point all was lost - so heart wrenchingly unsalvageable. Jesus knew that in the end, life would reign, joy would outweigh the sorrow, and yet he grieved before performing that great miracle of miracles. He grieved for his beloved friend decaying in the tomb. And He grieved for us, I'd like to think, all of humanity who must endure great trials, loss, abuse, injustice, as a result of our free will and fallenness - for us who, while on this earth, must fight hard and ceaselessly to believe in what cannot be seen, in a divine compassion we cannot fathom. And he must certainly be grieving for victims of Flight MH370 and the family members who continue search for answers hidden behind the inexplicable mystery of the disappearance of that plane that carried their loved ones. I guess it always so irresistibly easier to surrender to the power of despair, and thus be authors of our own spiritual and psychological death. When you're exhausted, from day after day battling doubts, struggling against the current, resisting the urge to lie down and allow the fear, resentment, selfishness, hatred to bury you alive, seizing rest, welcoming help, becomes critical. When our daily existence seems to be defined by the toils we experience, immortality can seem to be more of a curse than a blessing. But, the story of Lazarus raises our hope – a hope which does not lie in finding an answer to the mystery of our suffering, a hope that is not grounded in a final solution to life’s troubles, but a shining hope in the life of the resurrection – a rebirth – of how even the dead, the seemingly lost can be called forth, they can be liberated from the bindings of sin, desperation and grief, and be finally set free to live not just a dream, but the reality of immortality, never to suffer pain or death again. With the raising of Lazarus, we begin our final countdown to the Great Pasch. We human beings can handle many things that confront us in life, but on our own we will never be able to do much about death. We can accept death and resign ourselves to its inevitability, but we don’t have it in our power to overcome it. Cheating aging by a low-calorie diet, uploading one’s mind into a super-computer, migrating into outer space, longing for everlasting life, humans show that they remain the death-defined animal. Man deludes himself to think that he can find an answer in science. But the irony of scientific progress is that in solving human problems it creates problems that are not humanly solvable. Science has certainly given humans an ability to manipulate the natural world in a way that no other animal is capable of; however, it has not given us the power to redesign and tailor the laws of the universe according to our desires. Only God can overcome death, and this is what God has done at Easter. Immortality is no longer fiction. God has given it to us through Jesus Christ. He made the resurrection, God’s decisive action about death, a reality and not just a theory or an ideal. Now if God is Dead, then we are really done for!